The Eggland’s Best Gift Card Giveaway has ended. The Eggland’s Best information, coupons and gift card have been provided by Eggland’s Best. 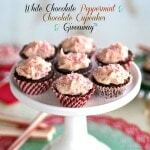 White Chocolate Peppermint Cupcakes are show-offs. They are cute and tiny and delicious plus they feature one of the best flavor combinations: chocolate, peppermint & white chocolate. What more could you need? Well – let me tell you. 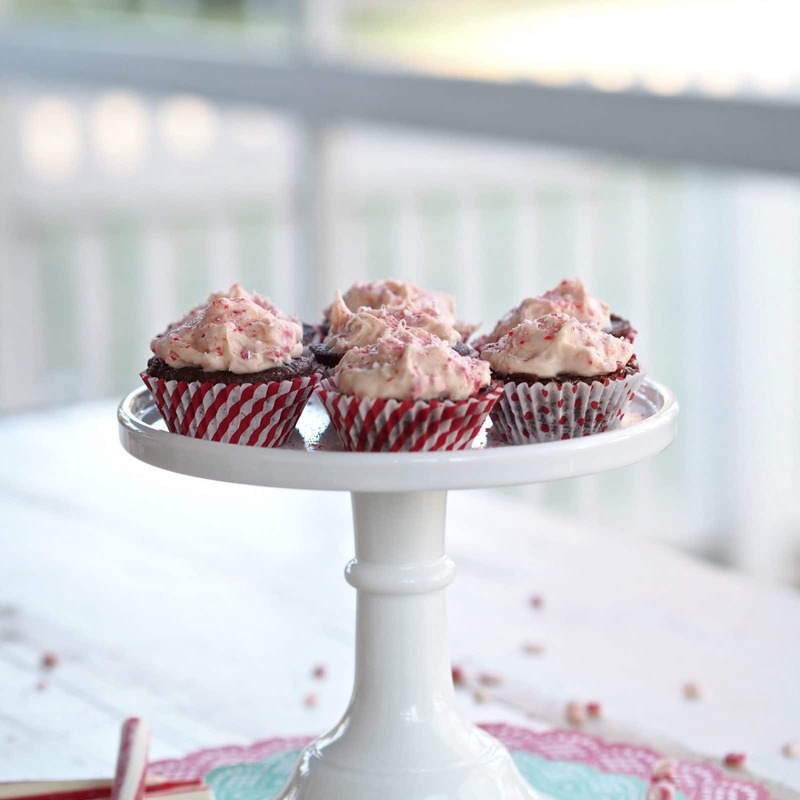 The lead actors in White Chocolate Peppermint Cupcakes are well-known and loved, but they would not be the stars in this dessert without a great supporting cast which includes butter, flour, cream cheese, sour cream, vanilla & almond extracts and Eggland’s Best eggs. I pride myself in using the best ingredients available in everything I prepare for my loved ones. 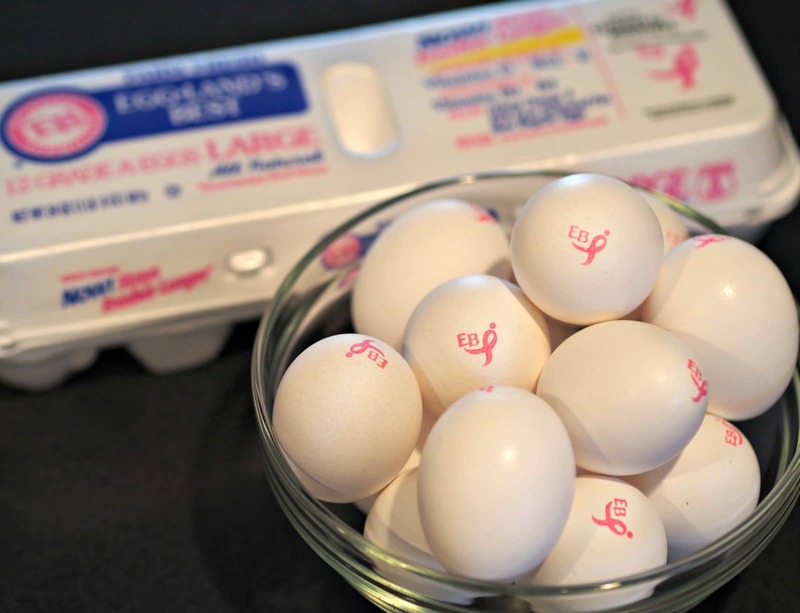 Eggland’s Best eggs are not only the best; they are also packed fresher, stay fresher and are packed full of all kinds of vitamins and omega-3s. They contain no antibiotics, animal by-products or added hormones. Other added benefits are 25% less saturated fat, lower cholesterol and – wait for it – each egg is only 60 calories verses 70 calories in ordinary eggs. Here is Eggland’s Best complete list of nutritional benefits. Sometimes I have to tell myself to “slow down Buttercup” or things will get a little messy. A few years ago I had a small cookie business. I was uncompromising in using the highest quality ingredients when making my baked goods; ingredients such as Grade AA butter, extracts not flavorings, quality sugars and flours, the best chocolates I could afford and EB eggs. My high standards paid off and my cookies had quite a following. My husband and I live in a college town and I suspect my cookies were one of the reasons it wasn’t just first year students packing on the “Freshman 15” during their college years. No matter what the “stars” of your holiday baking are this season, be sure you give them the best supporting cast available. You never know when an Oscar might be given for Most Delicious Dessert – Ever! Please remember to enter this great giveaway by Eggland’s Best: One $25 Visa gift card and Two (2) coupons, each valid for a free carton of EB eggs (just in time to create your own delicious holiday recipe). Good luck! Please provide your name and physical mailing address (U.S. residents only, no P.O. boxes). This is a sponsored post written by me on behalf of Eggland’s Best. All opinions are 100% mine. Thank you for trusting me to bring you the very best products and only products I love. 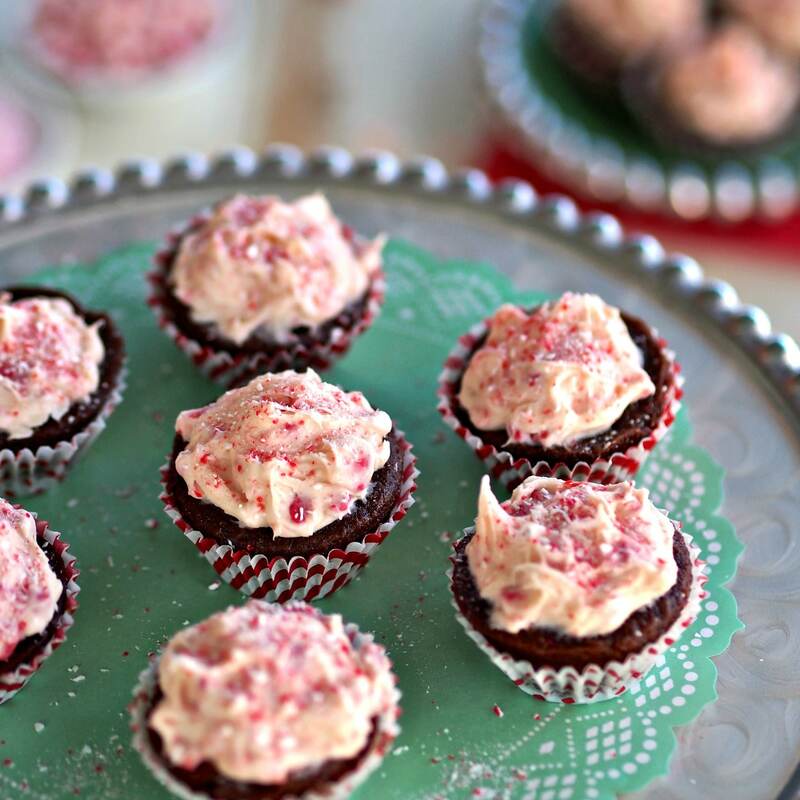 Velvety chocolate cupcakes with easy white chocolate, peppermint icing. Spray two 24-count mini-muffin pans with cooking spray then set it aside. In a microwave-safe bowl, melt the chocolate chips at HIGH in 30-second intervals until melted. It will take approximately 1½ minutes. Stir until smooth. Set aside to let cool for a few minutes. Using an electric stand-mixer, beat the butter and brown sugar at medium speed for 5 minutes. Add Egg-land’s Best eggs, one-at-a-time, and mix well after each addition. Add in the melted chocolate and mix until well incorporated. Sift together flour, baking soda & salt. Add the flour mixture gradually to the chocolate mixture and while alternating with the sour cream. Begin & end with the flour mixture. Beat on low just until incorporated after each addition. While beating on low, add the hot water gradually in a slow, steady stream until incorporated. Stir in the vanilla & almond extracts. Pour the cake batter 2/3rds full into the prepared mini-cupcake pans. Bake on the center rack in the oven 12-15 minutes or until a toothpick inserted in the middle comes out clean. When done, remove them from the oven and cool for 5 minutes on a cooling rack. After 5 minutes, remove from the pan and continue to cool on a cooling rack. In a microwave safe bowl, melt the white melting wafers on HIGH. Begin with 15-second intervals, stir and repeat until wafers are melted and smooth. Set aside to cool to touch. Mix together cream cheese and melted white chocolate. Beat with an electric stand-mixer on high until smooth and fluffy. Add in peppermint baking chips and beat until incorporated. Note: The longer the icing is mixed, the pinker it will become. 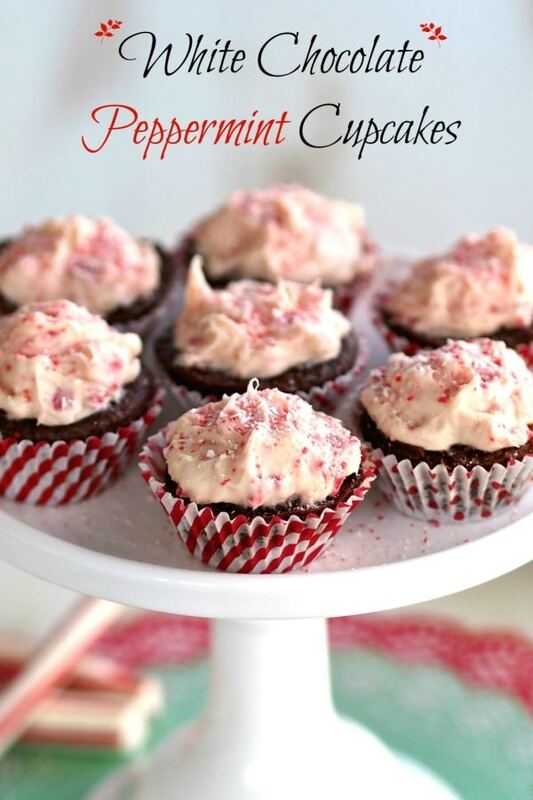 Frost the cupcakes with Peppermint & White Chocolate Icing. When ready to serve, sprinkle them with crushed peppermints. If desired, place cupcakes in mini-cupcake liners. 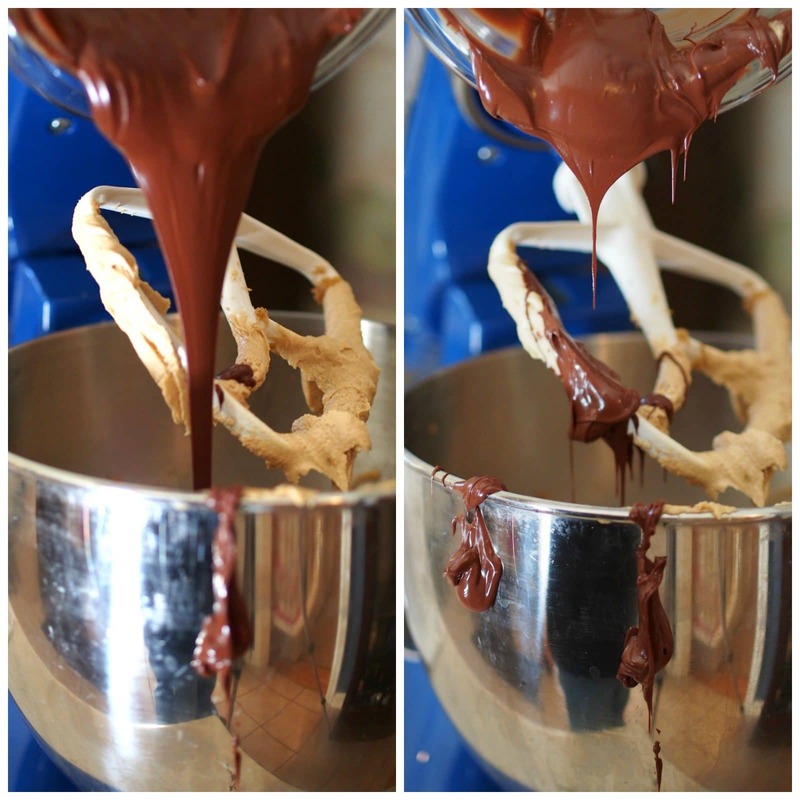 This chocolate cake batter is very thin which creates a delicious & moist cake. The cupcakes can be made the day before, but keep in an airtight container until ready to serve. Craving one of these cupcakes to devour right now.. they look SO delicious, especially with all that delicious frosting! Thanks so much Thalia and thanks , again, for stopping by. Our favorite holiday dessert is flan. My husband's family is Portuguese and it's part of their tradition. This combination of white chocolate peppermint & chocolate cupcakes looks so yummy. Love the chocolate cupcakes!!! 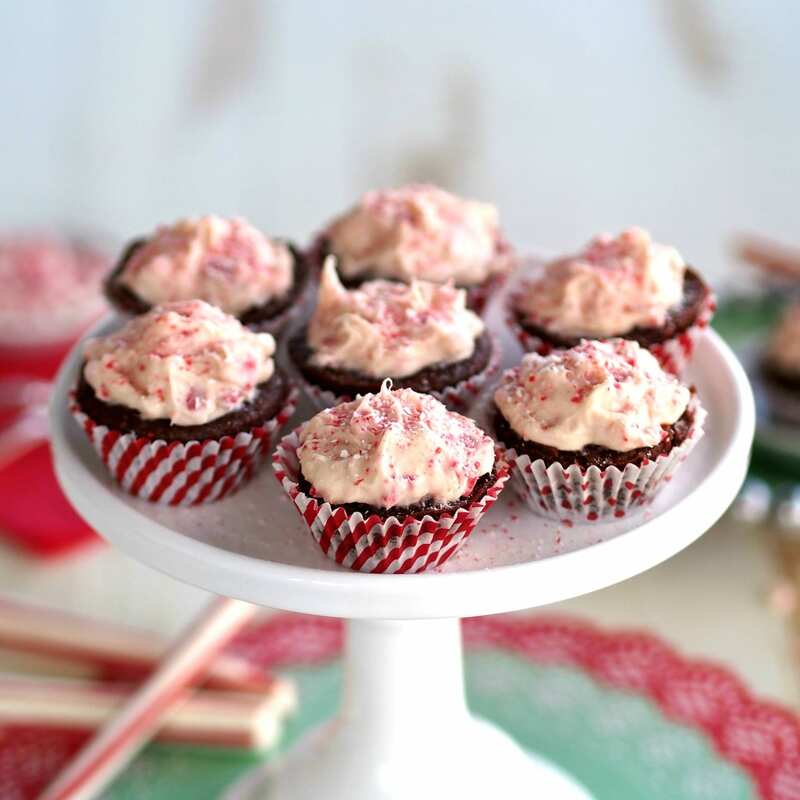 These look so fun and perfect for the holidays! Thank you, Peter, and thanks a million for coming by. Thank you, Kecia. Have a great week! Would love to see these on my counter! They look amazing! Thank you for your sweet comments Patricia and thanks for coming by. 11/8 Our favorite holiday dessert is flan. My husband’s family is Portuguese and it’s part of their tradition. My favorite holiday dessert is pumpkin pie for Thanksgiving and warm soft chocolate cakes at Christmas!! 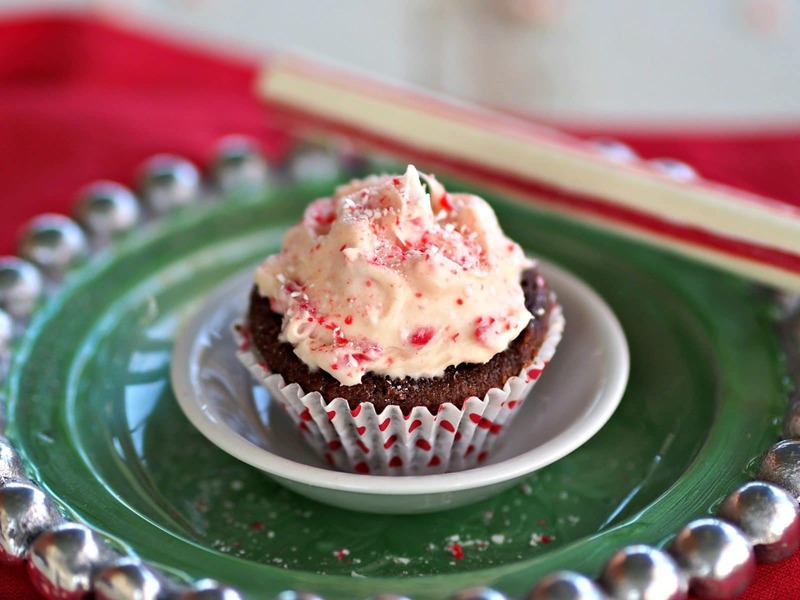 My favorite holiday dessert is either peppermint pie or gingerbread. 11/9 Our favorite holiday dessert is flan. My husband’s family is Portuguese and it’s part of their tradition. I love sugar cookies and gingerbread cookies. Thank you for your nice comments and thanks so much for stopping by Simply Sated. My favorite is the russian tea cookies. But there are so many which are also wonderful. I like decorated sugar cookies. 11/10 Our favorite holiday dessert is flan. My husband’s family is Portuguese and it’s part of their tradition. my favorite holiday dessert is peanut butter balls. 11/11 Our favorite holiday dessert is flan. My husband’s family is Portuguese and it’s part of their tradition. I love peppermint pie the most. Love a good pumpkin cheesecake! 11/12 Our favorite holiday dessert is flan. My husband’s family is Portuguese and it’s part of their tradition. 11/13 Our favorite holiday dessert is flan. My husband’s family is Portuguese and it’s part of their tradition. Pumpkin pie is my favorite holiday dessert. 11/14 Our favorite holiday dessert is flan. My husband’s family is Portuguese and it’s part of their tradition. I like gingerbread men cookies. 11/15 Our favorite holiday dessert is flan. My husband’s family is Portuguese and it’s part of their tradition. 11/16 Our favorite holiday dessert is flan. My husband’s family is Portuguese and it’s part of their tradition. We like flan for the holidays. Cheesecake is our family's favorite dessert for the Holidays! Yourfrosting on the cupcakes sounds delicious. My favorite holiday dessert would be fudge and cut out sugar cookies. We like my mother in law's homemade apple cake.